Thomas E. (Ted) Macrini, Ph.D. In 2010, the St. Mary’s University Department of Biological Sciences received funding to hold its first pre-medical summer camp. 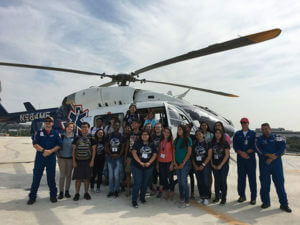 Both the “Career Explorations Workshop” (high school juniors and seniors) and “Pathways into Medicine” (incoming St. Mary’s freshman) summer camp are funded by JAMP and have two goals: (1) Recruit and educate potential JAMP students about the JAMP program and the opportunities it provides, and (2) Present students with a unique, hands-on experience with health care professionals in a medical school environment. Both camps are free of charge. Participants in the Pathways Camp will also have time to engage in various evening activities such as community service, pool party, jumping at ThinAir, and movie night.